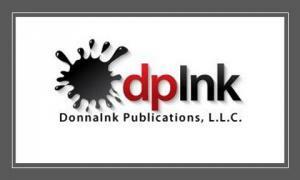 DonnaInk Publications, L.L.C. announces representation and impending release of author Steve Kay’s novels. No other ink will do! It's DonnaInk for You! DonnaInk Publications, L.L.C. signed British author Steve Kay, including a selection of fictional novels involving dramatic relationships. CARTHAGE, NORTH CAROLINA, UNITED STATES OF AMERICA, March 9, 2019 /EINPresswire.com/ — Ms. Donna L. Quesinberry, Founder and President of DonnaInk Publications, L.L.C. (www.donnaink.com) has signed author Steve Kay of the United Kingdom. We'll be releasing Mr. Kay's selection of fictional novels as his United States publishing representative. Steve has experienced modest success in Great Britain and European markets and we hope to introduce his titles, including a series, in 2019 and beyond. It is a pleasure to engage a new suite of fiction novels from the United Kingdom to add to the five continents and nine nations already represented. Steve Kay is an enigmatic writer who is constantly working on new publications. He was born in Lancashire United Kingdom and grew up in Hambleton close to Morecambe Bay and the Forest of Bowland. His father introduced him to the great outdoors, while his mother showed him how to make the most of life. While at University, Steve became interested in language and writing; however, he wanted to be a singer as a young adult and thought about politics, which music tends to affect one way or another. Throughout all of these life events, his writing continued to be a solace in life. Eventually, Steve settled down to become a teacher. As a single-father of two daughters, he leads a simple life with healthy food, lake swimming, cycling, and camping at national parks. Mr. Kay's initial title release, “Pebbles, Love and the Morecambe Bay,” will be announced closer to summer of 2019 with a strong pre-release review from advanced reader copies (ARCs) to be distributed prior to release date announcement. All titles will be available in pre-sale through AMAZON and BARNES & NOBLE in April of 2019.